As aging takes toll on our physical shells, easy manifestations of physical decline sets in – back pains, receding hair lines, rheumatism, and the next thing you know, you are left behind while everyone is enjoying a sunny morning run. These difficulties cannot be easily dismissed as simple facts of life. Own the choice and take over your body. 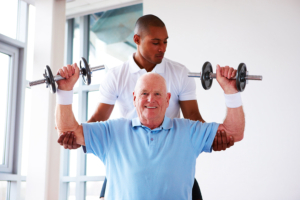 Noor Home Health Care can assist you with physical therapy programs especially designed to maintain, restore, or treat physiological issues either due to disability, illness, or old age. For questions, comments, and concerns you may have about our Physical Therapy program, please contact us.